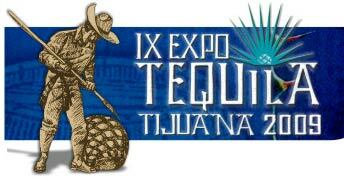 The Ninth Annual 2009 Tequila Festival and Expo is returning to Tijuana, on October 15 thru 19, 2009 at Avenida Revolucion, Tijuana, Baja California, Mexico. The festival is an exciting and culturally intense event because its main focus is on educating visitors on tasting and sorting out the many different types of Tequila in Mexico. Jueves 15 de Octubre, de 12:00 p.m. a 11:00 p.m.
Viernes 16 de Octubre, de 12:00 p.m. a 11:00 a.m.
Sábado 17 de Octubre, de 12:00 p.m. a 12:00 a.m.
Domingo 18 de Octubre, de 12:00 p.m. a 8:00 p.m.
8:00 P.M. PREMIACION AL TEQUILA MÁS GUSTADO, CLAUSURA DEL EVENTO. Obsequio de Colecciones Expo Tequila Tijuana 2009 se rifara entre los asistentes. Un viaje para dos personas a Tequila Jalisco, todos los gastos pagados por dos días y tres noches garantizando la visita a tres fabricas de TEQUILA. Se obsequiara entre los asistentes al evento, juega con su boleto. Obsequios diarios de colecciones de tequila entre los visitantes. Expo Tequila Tijuana 2008 - The eight annual 2008 Tequila Festival and Expo is returning to Tijuana, BC MX on October 12 thru 19 at Ave. Revolution, in Tijuana, Baja California. The festival is an exciting and culturally intense event because its main focus is on educating visitors on tasting and sorting out the many different types of Tequila in Mexico. Expo Tequila Tijuana 2006 - The Tequila Expo Tijuana 2006 Organizing Committee is pleased to invite you to the opening ceremony of this sixth annual event, scheduled for October 11th thru 15th 2006, at Caliente Racetrack. We look forward to the pleasure of your distinguished company.